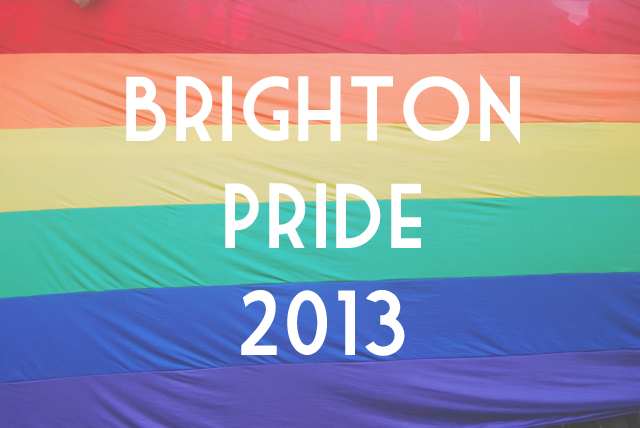 I've been meaning to go to Brighton Pride (or any Pride!) for the longest time! 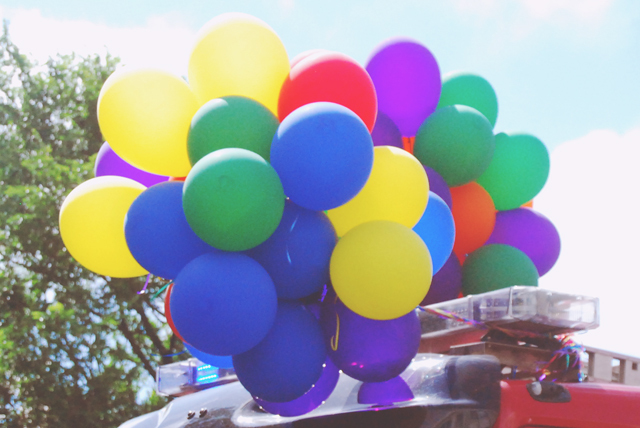 This year, I finally managed to make it and it was all the gay fun I expected and more! 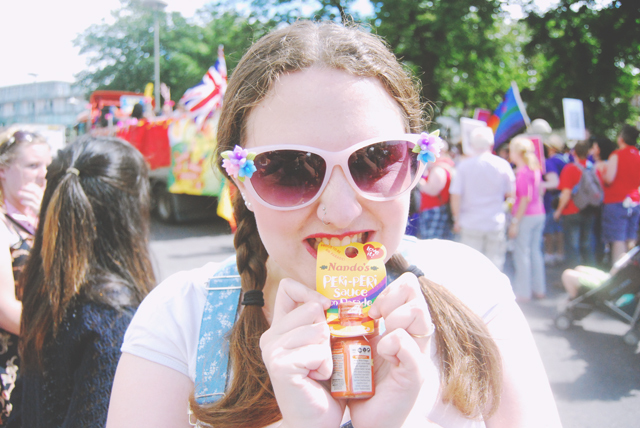 I love parades at the best of times (like, really love parades!) so add some cheesy party tunes, rainbow flags and drag queens, and I am bouncing off the walls! So much love for George! He got a huge cheer... and look at how happy he is! 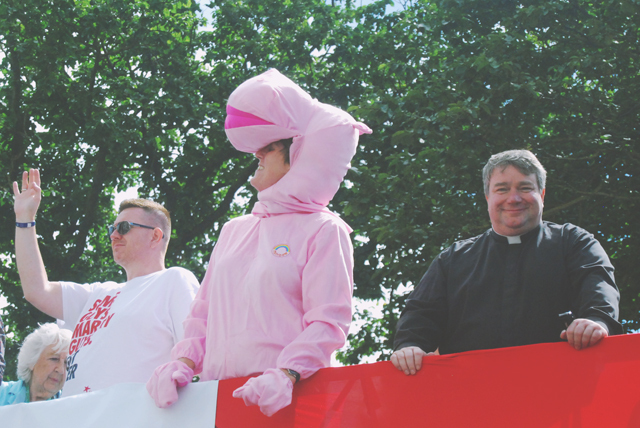 George from Rainbow and... a happy vicar? Why not! 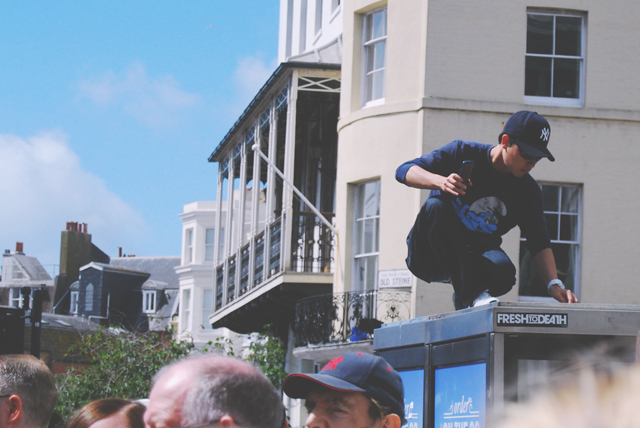 I loved all the people sitting on top of phone boxes and bus shelters. I have no idea how they managed to climb up there! I would never have been able to do it! I'm not sure if Oscar Wilde actually said this but I love it! We discovered that this littlle fella is called Zingy! 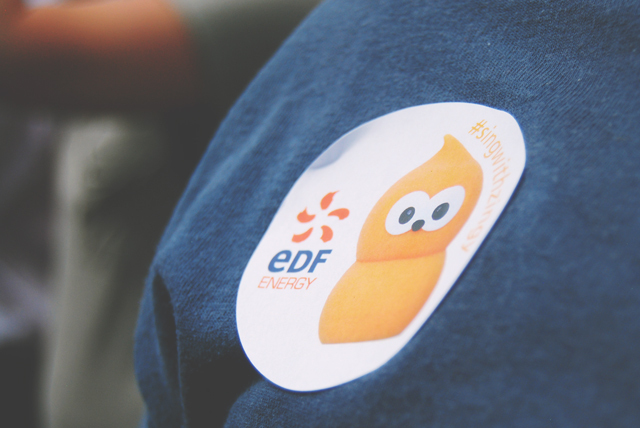 EDF had a huge screen on their float with karaoke lyrics to the songs they were blasting out. A lot of fun! 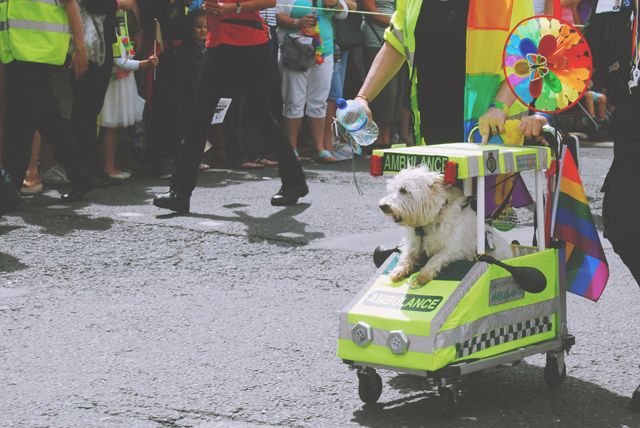 Yes, this is a dog in a mini ambulance. 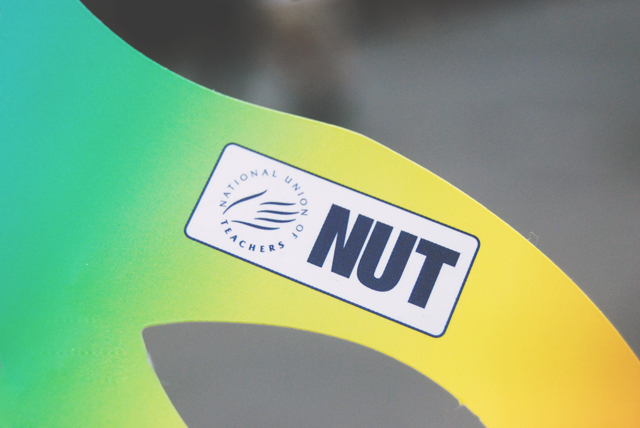 LGBT teachers in the house! I wonder how much they raised? I hope they reached their target! 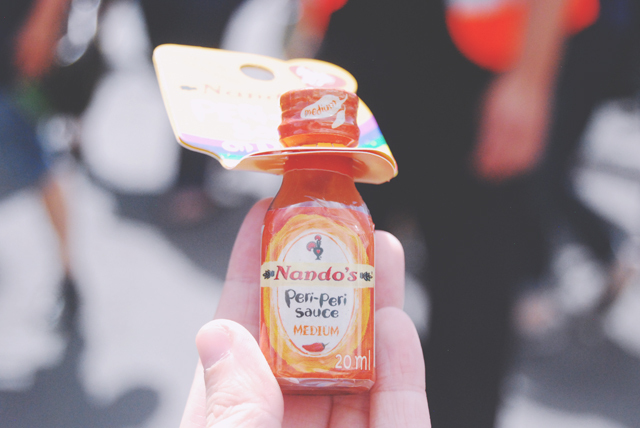 There was a Nando's float and they were handing out these tiny little bottles of peri-peri sauce! Pretty much my favourite part of the day! They also had these amazing stickers. Love! 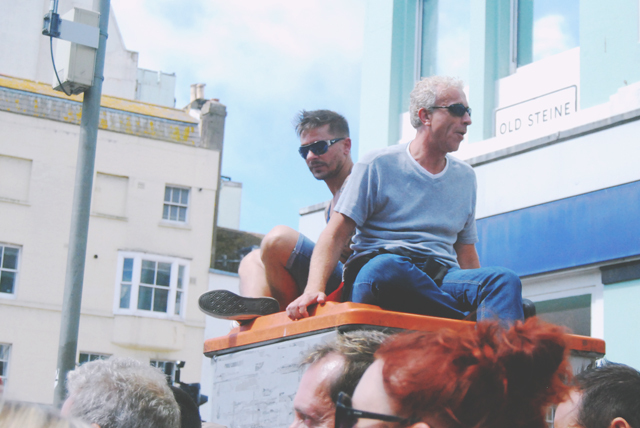 After the parade, we had a wonder around Brighton, but more on that tomorrow! See you there next year, yeah? 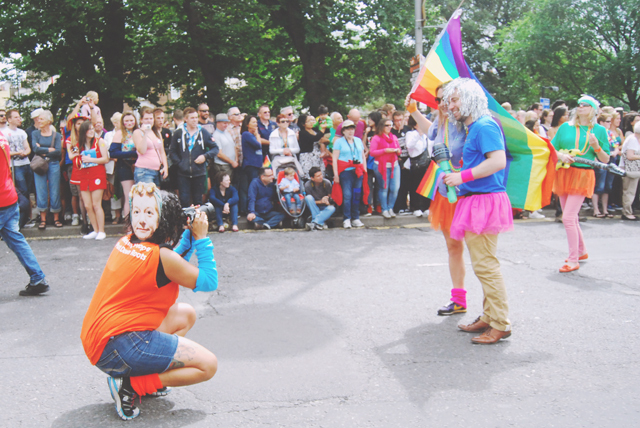 Great photos, looks like you had a fab time, I love Brighton generally. I love Brighton too! Haha I love the font! 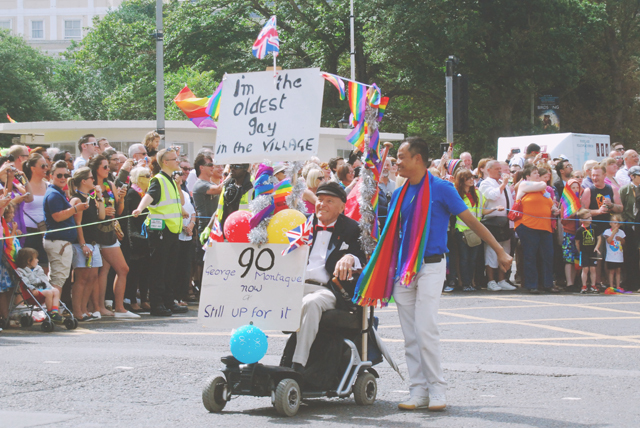 The oldest gay in the village! That made me laugh! 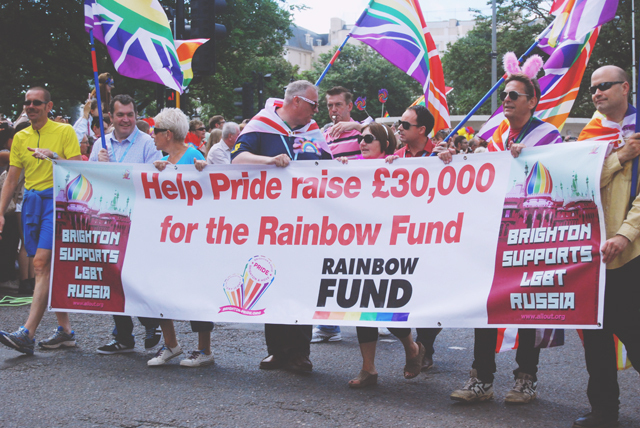 I also love the UK rainbow flags, would love to get one of those. I love him! What a legend! I loved her too! I had a photo of her but thought it was best not to share on here haha! Loved all the colorful pictures! Hopefully I'll get to see something like this sometime! 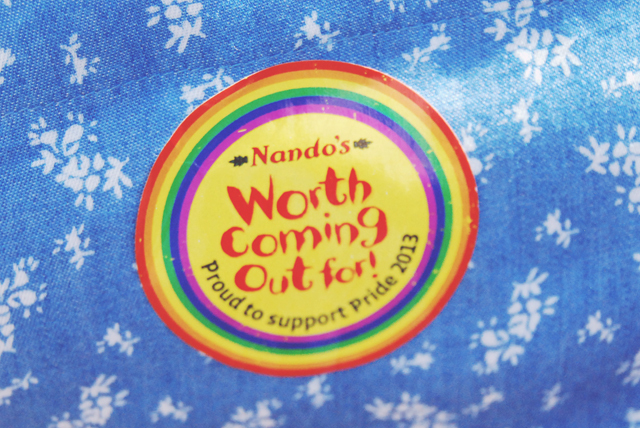 I've heard so much about Nando's, and I can't wait to visit the UK and try it! I think Nando's alone is worth the trip! George was my favourite! The dog got so much love! Great photos, the one of the dog in the mini car is adorable! Oh my gosh..